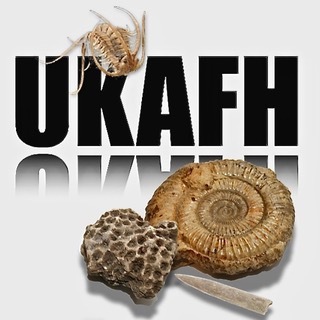 Founded in 2010, UKAFH (UK Association of Fossil Hunters) is now the largest fossil hunting society in the UK. We encourage everyone, of all ages, and all abilities, to enjoy the rewarding fossil hunting experience at some of our great organised hunts. UKAFH is now owned by UK Fossils, a subsidiary of UKGE (the market leader in the provision of geological supplies). UKAFH has successfully grown over the years and we are now in a position to supply the resources and time to expand this organisation even more, whilst retaining the emphasis on family events. We have a great track record and lots of happy members! Everyone will find a UKAFH hunt to be a great day out! It’s a fun and educational experience for families and individuals and moreover, the sites we visit will guarantee success in you finding fossils to take away, along with memories of a richly rewarding experience. UKAFH’s team are highly experienced in providing regular fossil hunts. We have great leaders, all of whom are very knowledgeable about the locations we visit and the fossils to be found there. All UKAFH leaders are fully trained in First Aid. Events are either Pay-as-you-go or all events free for members via our low cost annual membership. We also offer a place to communicate and share with UKAFH members knowledge, opinion and experiences on our Facebook page.